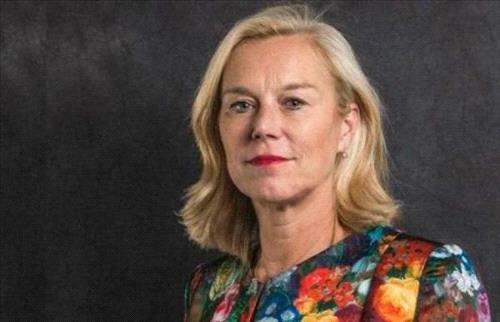 AMMONNEWS - Dutch Minister of Foreign Trade and Development Cooperation, Sigrid Kaag Saturday visited Za'atari Refugee Camp in Mafraq Governorate to have a firsthand look on how well Jordan has managed and sustained dealing with the influx of refugees in a "humane and dignified manner". In remarks to Jordan News Agency Petra, Kaag said her visit also aims to learn more about the needs of the refugees and find ways to intensify level of economic support to Jordan to enable the country continue its humanitarian assistance to refugees and mainly to provide women and girls with education, vocational training and qualitative knowledge for access to market. The visit also comes in recognition of the tremendous burdens Jordan keeps shouldering towards the displaced Syrians, where the Kingdom has the highest per capita number of refugees, a phenomenal and continuous act of generosity, Netherland and the rest of EU countries appreciate, she added. "This is an international responsibility and an international effort," she said adding that her country and the rest of the EU members will increase funding for Jordan. To reach this end, the Dutch official will meet and discuss these issues with senior Jordanian officials to know what more should be done not only for the refugees but also for Jordanian host communities who also live on the margin and need jobs to cope with the new situation. The minister and the accompanying delegation visited the Za'atari Office for Employment (ZOE), established by the International Labour Organization (ILO) in collaboration with the EU, and UNHCR, where they were briefed on the work of the office, which facilitates the legal access of refugees in coordination with the government of Jordan; bring employment services closer by granting refugees work permits outside the camp. During her tour in the camp, the minster also visited UNICEF supported "Makani" center "My Space" in Arabic, where she was briefed about the camp centers across the country aim to expand learning opportunities for all children not accessing any form of education in Jordan through an holistic approach that provides all vulnerable children and youth with learning opportunities, life skills training and psychosocial support services under one roof. The Minister participated in a football game and saw the positive effects of UN programs and other initiatives provided to girls and women in the camp. Makani has other centers located in cities, urban centers, Syrian refugee camps and vulnerable settlements in all 12 governorates of Jordan. All services at Makani centers are free of charge and open to all children in the catchment community, especially vulnerable girls and boys, irrespective of their nationality, abilities or status. The minister also toured the UN ‘Oases’ safe spaces for women" designed to empower women and offer them opportunities to earn income, protection referral services, daycare services, and life skills training such as Arabic and English literacy, sewing and computer classes. The Dutch minister began her visit by meeting with officials and representatives of the UN organizations in the camp, including Deputy Director of Al Zaatari Camp, Maj. Bakr Badarin, and the representative of the UNHCR in Jordan. Kaag was briefed on the services provided to the Syrian refugees and the positive developments the camp has witnessed in the areas of shelter, education, health and other services, as well as cooperation between the camp's administration and the humanitarian and international organizations operating in Za'atri.